NFL players have a new piece of equipment this season. But it’s not new shoulderpads or helmets or anything like that; it’s a tablet. According to Engadget, the NFL will provide players and coaches with ruggedized Surface Pro 2 tablets on the sidelines this season as part of a program called the Sideline Viewing system. The idea here is that players and coaches will be able to use the tablets to watch replays of game action from the sidelines, and be able to make adjustments as needed as the game progresses. For instance, say the quarterback goes back to the bench, the Surface can then be used to see the opposing team’s defensive formation during the most recent drive—and the same goes for the coaching staff that keeps an eye on the game from higher ground. Players are also able to draw on these images, making it easier for other members of the team to see something which stands out and needs to be checked. The program, part of a five-year, $400 million partnership between Microsoft and the NFL, uses the older Surface Pro 2 rather than the newer Surface Pro 3. 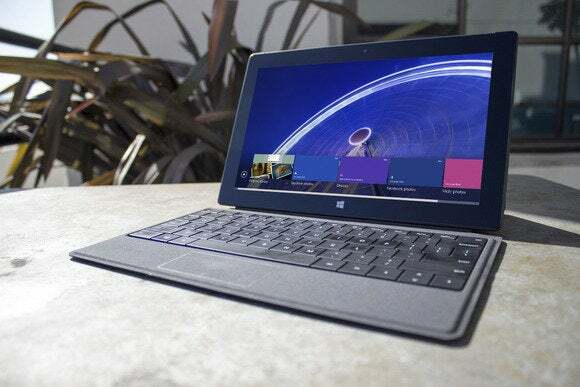 It isn’t entirely clear why the two sides went with the Surface Pro 2, but it likely has to do with the fact that these tablets have undergone some special modifications to better withstand snow, water, and extreme temperatures. No word on whether tablets will ever make their way to Major League Baseball dugouts to help coaching staffs determine whether to challenge an umpire’s call.